We are offering EPS Thermocol Sheet to our clients. Expandable Polystyrene / EPS usually use as packaging for many kind of products such as television, electrical appliances, helmet, ice box and sheet foam. 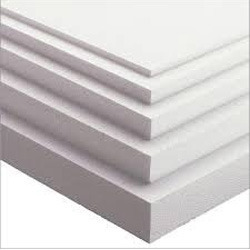 we are the leading manufacturer of EPS(Expanded polystyrene sheet). Matching up with the ever increasing requirements of the customers, our company is engaged in providing EPS Thermocol Insulation Sheet. Our company has set benchmark for offering EPS Thermocol Sheet to the clients. This product is suitable for various purposes in homes, showrooms, office, hospitals, it buildings, banks, hotels and cold insulation. This product is used for packing glass, wooden and electronic goods for transportation. 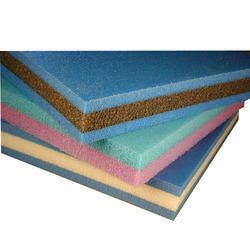 We are offering a wide range of EPS Thermocol (E-POR Thermocol) (Expandable Polystyrene), is BASF's crack resistant tough elastic foam with smooth haptics and excellent solvent resistance which can be stored, processed and recycled just like the classic styropor.this products is available in different sizes, shapes and thickness for our customers to choose from. Expanded polstyrene products are used in a wide range of application.